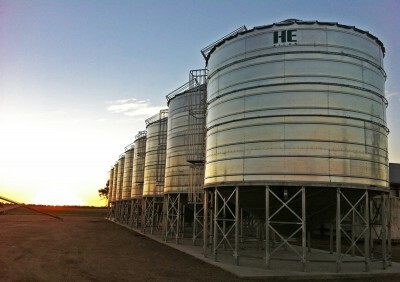 HE Silos offers a range of Flat Bottom and Cone Elevated silo models for clients who require large capacity storage. 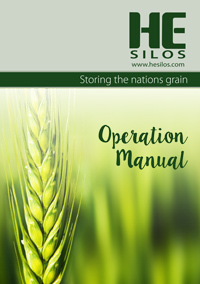 Our large capacity silos are constructed onsite by our own experienced team. HE Silos prides itself on the quality of our products and being Australian made & owned. Once we have pre-fabricated the silo roofs, wall sheets and bases we will be ready to install your new silos on-site. Weather always plays a large role in the completion date and must be taken into account. Before we start, we will need a solid foundation to build on. We advise and recommend all customers consult with a structural engineer regarding their Foundations. Foundations are not covered by warranty and it is imperative to get this right. In most cases, sites will need to be excavated and road base and crusher dust laid to ensure minimal movement post-construction. We will not proceed with a job if we deem the foundations to be insufficient. All quotes and prices are less concrete, concreter and crane hire. Concrete and crane hire will need to be organised ahead of time and pre booked with your nearest supplier so they are ready for the day. 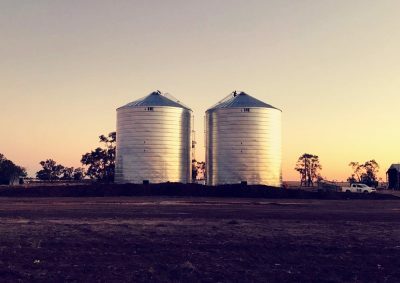 Please note: Flat bottom silos do not require crane hire.If you require any recommendations for concreters please contact our friendly staff of 1300 764 700.